Tokai Forum - a subsidiary of TokaiRegistry.com :: View topic - Anybody know about the M'Seeken "Let's Play Music"
Anybody know about the M'Seeken "Let's Play Music"
Posted: Fri Jun 09, 2017 7:38 am Post subject: Anybody know about the M'Seeken "Let's Play Music"
I have no idea of the age. It's got some relic wear on it, so it could be 80's, 90's, or newer. Electronics have been replaced, so can't date it from the pots. No serial number visible anywhere. Tuning machines are no-line Kluson copies. Anybody have any idea when these were made, and for what market? Unfortunately, no. All the electronics have been replaced. Thanks! I have a "Let's play music" imported too. 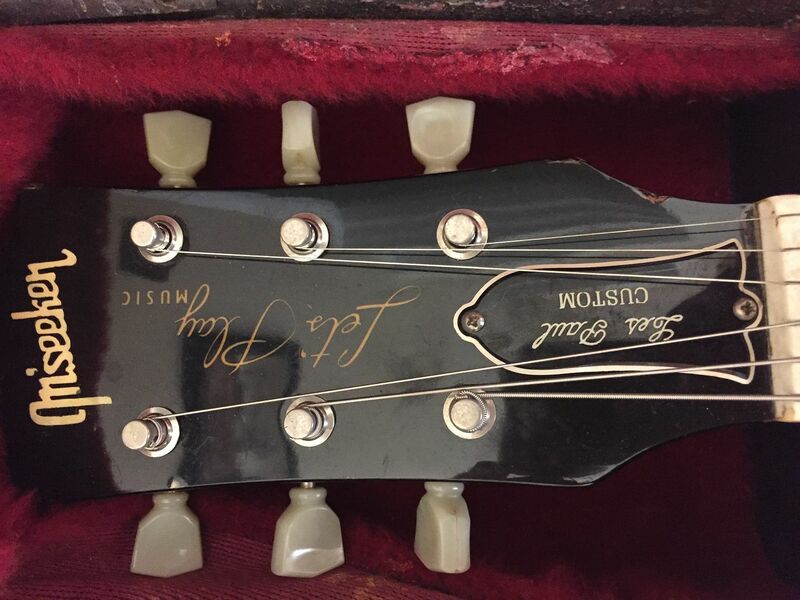 Great guitar but hard to find any info. I recall reading in a few places that Mseeker was a brand made for the Ishibashi music chain in Japan.A Japanese page (https://detail.chiebukuro.yahoo.co.jp/qa/question_detail/q1034071770) says it "Music Seeker" was a marketing phrase for the store in the 70s and 80s. I think that some may have been made by Tokai. 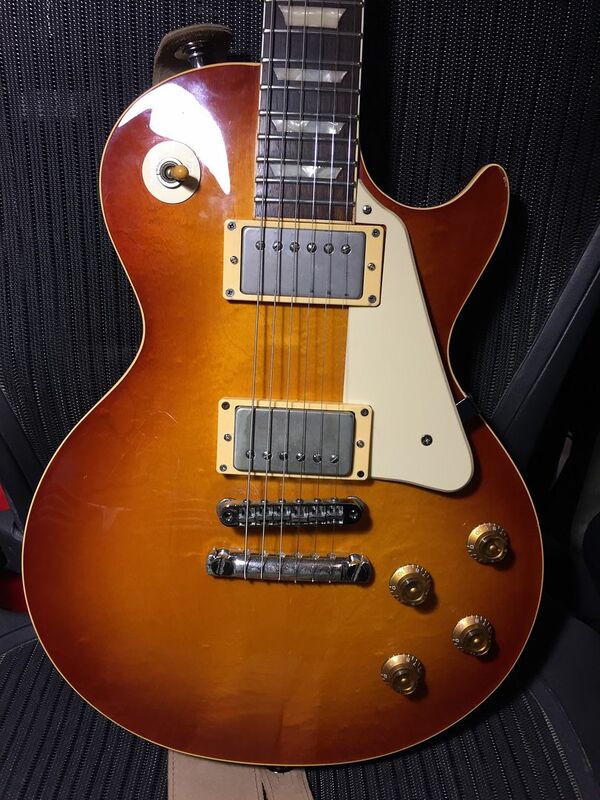 I had a custom m'seeker think I dated it to 93 or 89 from the pots and was made at the Tokai factory going from the routing patterns. Think quality wise I'd put it a step below all the burny's I'd had but it only cost me about 12,000 yen a few years ago so was worth the price I paid. They made quite a few different models I've seen explorers and SG's as well as the LP's copies. From the research I did I found they were made for Ishibashi like Wulfman said but sometimes the same piece of info does end up being taken as gospel. I found a few pictures of flyers for them searching Yahhoo.jp but all in Japanese , think I might have binned them when I sold the guitar, if i get time I'll search my PC for them.